Honestly, I’m not a huge purse person. I mean, my purses usually come from the clearance rack at Target. But this purse? I really like. My best friend Jennifer gave it to me for Christmas. She ordered it from Thirty-One Gifts since she happens to be a consultant for them. For those who don’t know, Thirty-One Gifts is a company that offers fabulous affordable items from purses to many other accessories. It also gives women the opportunity to sell the items and earn money. Curious about the stuff Thirty-One Gifts sells? Well, Jennifer also sent me a package of different items from the company. A multitude of items, as you can see. I usually keep it all ready to go in the car. It’s also a fabulous way to take toys to keep kids (or adults) entertained in restaurants. 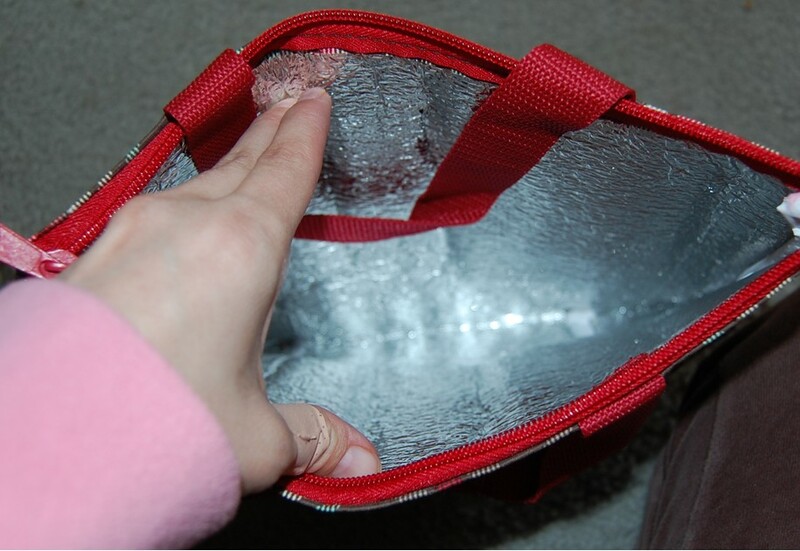 It’s lined with silver insulation that can keep foods cold or hot. Jennifer was telling me how her Mom put ice in there to see how long it would stay like ice before melting. It ended up staying icy for 12 hours! That’s pretty dang impressive. The thermal tote is going to come in handy when we travel from Wyoming to Oklahoma. I cannot STAND warm drinks so this will help keep my Diet Coke nice and cold. Last up is the key fob. This helps me to find my keys in my usually messy purse. Normally I’d have to dig through my wallet, my receipts, my trash, etc…to find my keys. 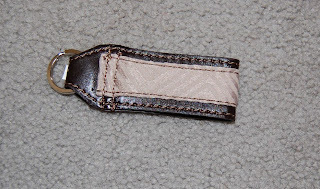 With the key fob, I immediately spot them. I was definitely impressed with everything Jennifer sent me. And bonus? 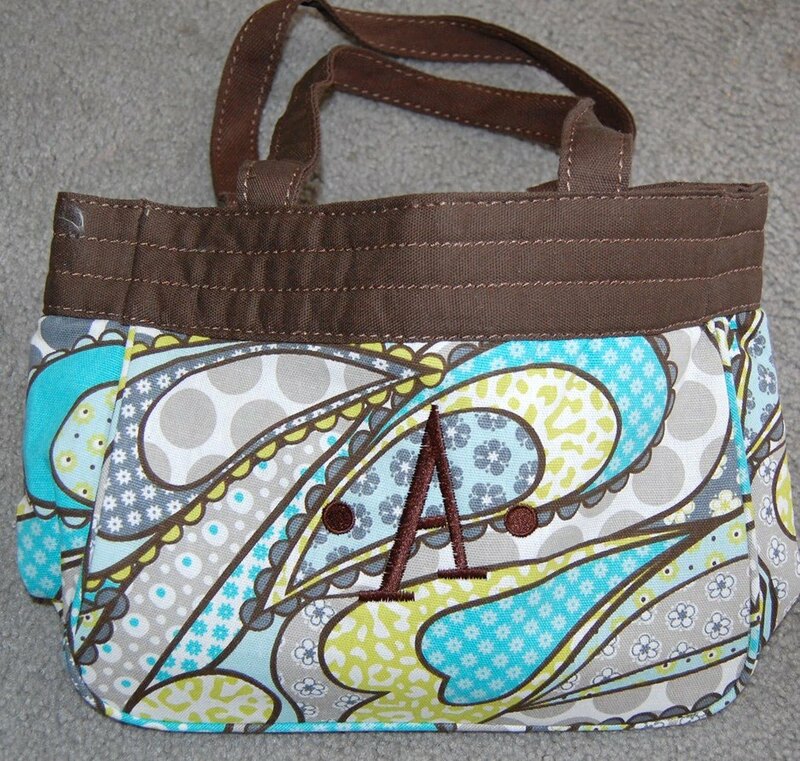 You can personalize almost everything that you order from Thirty-One Gifts. Whether it be your name or a favorite phrase..they can do that for you. You get to pick your own font, your own color...the possibilities are endless. Jennifer is offering a small prize from Thirty-One Gifts to a lucky reader. Good luck! I will announce the winner on Sunday, May 22nd. This is 1st time I've ever actually looked through the catalog! Since I just found out I'm pregnant, I'd probably pick either the Thermal Tote # 3000 or the Organizing Utility Tote # 3105 on page(s) 30/31. Super cute baby stuff! I LOVE the large utility totes!!! Your baby girl is my kind of girl! Crayons and chocolate. Let me know if you ever need a sitter. Also let me know if it would be ok if we color on the walls. I really like the thermal tote! I'm a teacher and will continue my job through the summer and having a nice cold drink while outside all day is tough! This would certainly come in handy! I love the Demi Purse on page 14-15. I really like it in the Onyx Medallion. Very cute! Oh I love Thirty-One Gifts!! If I had to just pick one thing I liked the best I'd pick the skirt purses. So fun! 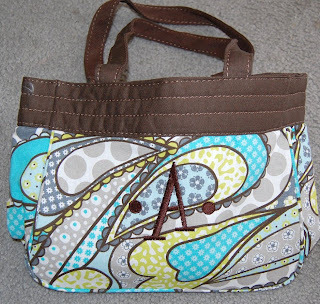 On page 8-9 there is this purse that has dots and a pretty ribbon. I love that. 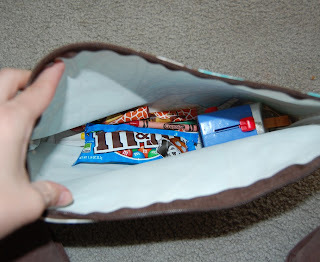 I also love the brown rolling tote and the garment bag a few pages before, those would come in handy when we go on our wish trip with the Make A Wish foundation. On pages 16/17, I like the collection that is on that lay out for the Hostess Exclusive. The aprons on pages 34/35 are so so so sweet! Their stuff is so adorable! I think I would pick the Weekend Getaway Bag because I spend a lot of time out of town. But I also LOVE the hostess's apron! 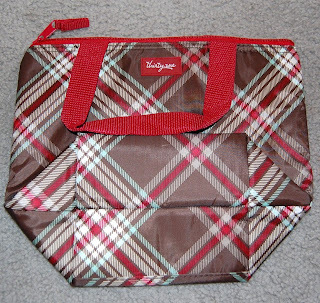 I am in love with the hostess apron...and the mini organizer in mad for madras...and the about town blanket. Actually, I think I need to go hide the credit cards before I go nuts. I love the Thermal Tote but my favorite is the Demi purse. I can't decide the color though! Natalie is pretty cool for a chick-let...does she like to do wall art with those crayons? Wall art rocks when its on, oh, say...Applebee's wall. Or Dennys. 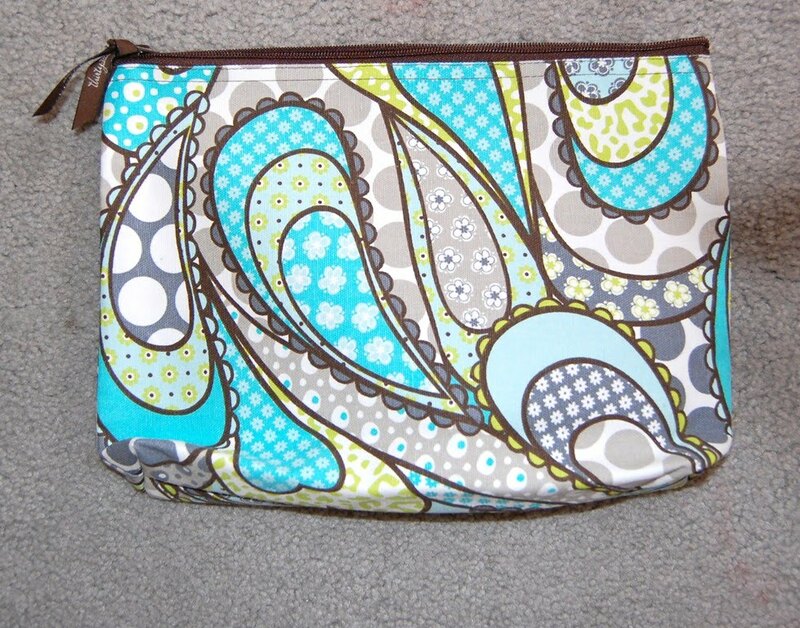 i like the thermal tote in free spirit floral! I've never heard of this company, but they have cute things. I especially like the City Weekender bag. I thought about the apron, but that would mean I would have to cook. I love, Love, LOVE 31. I've got the big tote for... well, everything... right now it's my school bag, but this summer it will be the beach bag! 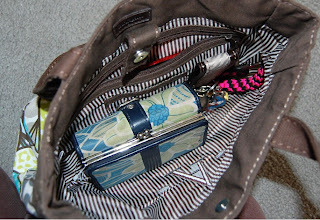 What I want/need is the Wristlet Wallet so I can keep it in my bigger bag, but grab only it if that's all I need! I liked Jennifer on fb. Leigh Anne Thomas! 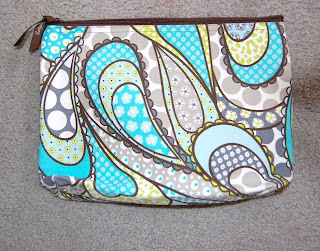 I would choose an organizational tote in Circle Spiral print! I love the skirt purses! My SIL sells these too. I don't own one item that I use. I did buy the thermal tote for James lunches and his Bento box fits right inside perfectly. Jesse has a sack with her name on it that SIL gave her for her birthday. If I got anything, it would be the messenger bag. Great giveaway. Thirty-One is my crack. Love, Love, Love Thirty-One! Love the Cinch Top bucket bag! Super Cute Stuff! I love their purses and how you can change the skirts on them! Such cute stuff! Love the Paparazzi Dot Utility Tote! I want the skirt purse with the ruffled cover! too cute!!! they everyday tote is a must for me. I'd choose the Demi Purse in Onyx Medallion. :) So cute!! Love the mini-organizer...and the beach bag. Thanks for posting - never heard of this company before now. 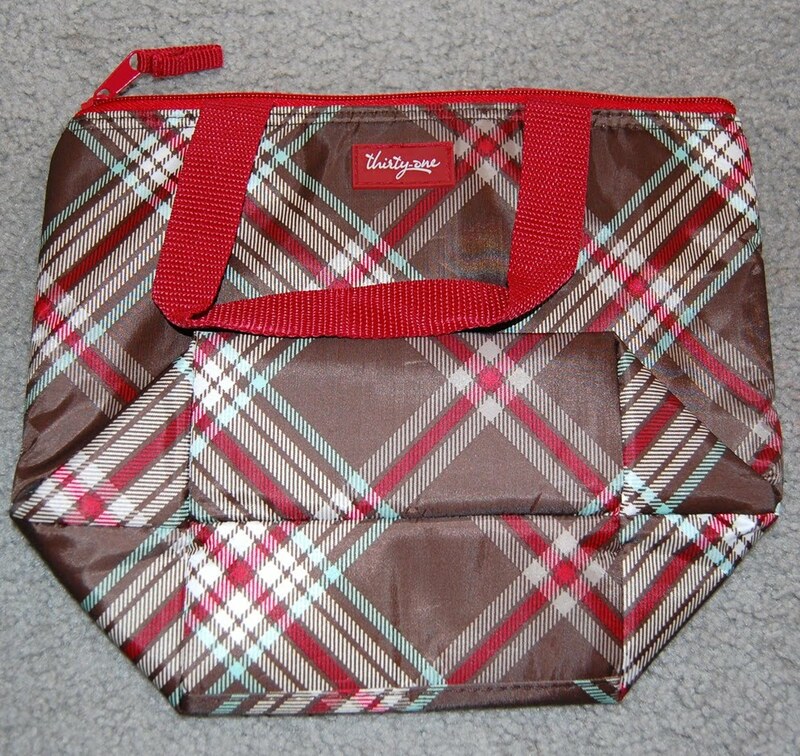 the large utility tote is a must have!!!! Hard to choose! But I think I would choose the insulated bags or the weekender bags since we travel with 3 kids. It would be very handy to be able to keep their drinks cold on long car trips and to keep all of their goodies all together. I would buy the small Thermal tote in APple blossoms. I covet the beach bag. I'm just too cheap LOL! I like Jennifer's FB page.